Many websites are set up with the primary goal of driving traffic and attracting as many new prospects as possible to visit the site. Most companies believe that more traffic and more leads are always a good thing; they constantly adjust their SEO strategies and search engine marketing to keep increasing their traffic counts. And here’s the thing – more traffic is good! Getting more visitors to your site is always preferable to getting fewer visitors. Instead of just dumping more traffic into the top of your sales funnel, it’s even better if your website can help filter out the good sales leads. Your website should not just be a traffic magnet, it should be a New Sales Lead Qualification Machine! Ideally, by making just a few changes with your website, you can use your site to go deeper into the process of educating and communicating with new prospects, and use your site to start qualifying sales leads and go further in identifying which prospects are truly the best opportunities for your business. Is your website truly serving as a one-stop shop for your customers’ research process? Is your website speaking to a wide range of customers with a comprehensive set of questions and answers? Is your website doing a good enough job of accommodating customers at various stages of the sales funnel? Do you have good tracking processes in place to help identify and sort customers and guide them through the site – for example, by using customized landing pages? Try to anticipate and answer a wider variety of questions, issues, and objections from your new customers, and address them openly on your website. The more information your customers can get about your products, services or solutions – in a transparent, in-depth way – before they ever send you an inquiry, the better qualified your sales leads will be. It might sound crazy, but it’s true – there is such a thing as “too many” sales leads. 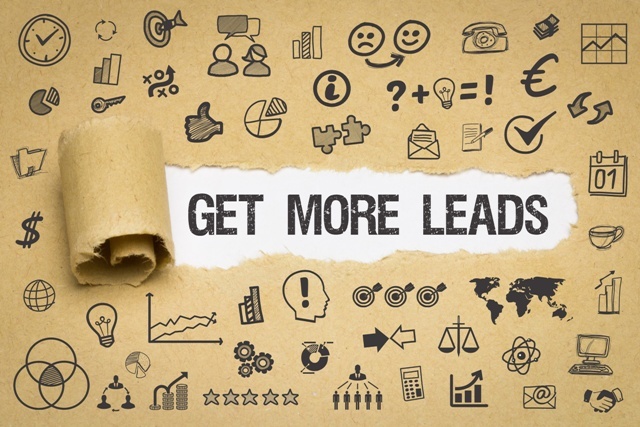 If you’re getting bombarded with sales leads from your website, but too many of them are not good leads, you’re going to end up wasting time and missing out on good opportunities. You need to use your website to filter out some of the customers who aren’t really ready to talk with you. If you’re getting too many calls and inquiries from prospects who are actually not a good fit or who don’t know what they need or who otherwise are not well-qualified, you might want to filter out some of the “bad” leads by making it harder for customers to contact you. Before you encourage people to call, before you invite them to send an email, ask your prospects to fill out a short website questionnaire of pre-qualifying questions. These questions don’t have to be too elaborate or lengthy, but it helps to try to capture some feedback and data about your prospects even before they start sending inquiries. That way, when you receive that first inquiry or email from a new prospect, you are armed with information and have some additional insights into what the prospect wants and how you might be able to help them. In this way, your website can help you start to filter out the “good” and “bad” leads before your customers ever pick up the phone. NOTE: You can also use these sorts of pre-qualifying questions during your initial conversations with customers that you first contact via outbound lead generation efforts – such as cold calls, networking events, trade shows, etc. The same techniques that work on your website can also guide your “real world” lead generation activities. Your website shouldn’t be a “one size fits all” experience. Different customers need different things from your website, depending on where they are in the buyer’s journey. Don’t assume that the same “Products” or “Services” page is going to work for everyone – and it doesn’t have to! Instead of driving traffic through the same landing pages over and over again, you can use your website to experiment with different landing pages for specific purposes. With multiple landing pages, you can start the process of qualifying leads and directing buyers through the sales funnel by sending traffic through a series of targeted landing pages that represent different steps in the sales funnel. For example, you can have one landing page that features a few pre-qualifying questions, a second landing page that encourages customers to sign up for an online demo, and a third that encourages customers to sign up for a personal phone call or web chat. Working through a series of customized landing pages can help determine which prospects are truly the best fit and are most highly motivated to buy. “More traffic” and “more leads” are not always the right answers for your business. You also need to use your website to filter and pre-qualify the new sales leads as they arrive. This will help you save time and direct your sales resources to the right people at the right moments. Don’t just focus on getting “more traffic” to your website – focus on how to get more efficient results from the traffic that you do have.